Baywood Publishing Company, Amityville, New York, http://baywood.com, edited by Madeleine Kangsen Scammell and Charles Levenstein, 2014. Parents should be able to assume that school buildings are healthy places for children, but The Toxic Schoolhouse reveals the unfortunate truth. While significant progress has been made in some areas, there is still a lot to be done in North America to make sure schools are truly safe and healthy buildings. Readers may be shocked to learn the facts. Children’s health, their ability to learn, and future productivity are all affected by the health of our school buildings, and even the highest quality solutions are worth the cost. “Action taken to improve Indoor Air Quality, even the Cadillac version, is cost effective.” (Tedd Nathanson, P.Eng. retired Corporate Manager, Building Air Quality, Public Works and Government Services Canada.) Our children are the future, and there lies the reason to read and become part of the solution. 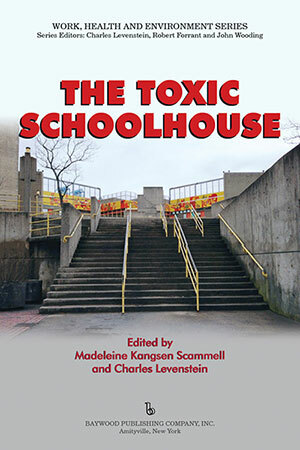 Our organization, Canadians for A Safe Learning Environment (CASLE), is featured in a chapter of this new book on the status of school environments, and we are pleased to review The Toxic Schoolhouse. The Toxic Schoolhouse describes significant risks to health that are often still found in schools across North America. Some schools contain hazards that have been recognized as dangerous for some time, like lead, asbestos and PCBs, but also more recently recognized dangers like the impact of air quality on asthma and general health, toxic ingredients in cleaning materials, and indoor mould growth. It covers the importance of healthy school location, design, and construction, the roles of occupational health committees and unions, government and community groups, and much more. It reports progress being made all over North America and also shows that the routes to success vary. It is enlightening to read how the school political structures differ from State to State and Province to Province, and how the various featured groups achieved change while dealing with different situations. Readers will gain insight into choosing health priorities, learn about current information on the science of various health issues in schools, and learn about resources. Some ingredients for success seem to be similar: understanding one’s school system, solid information on healthy schools, and persistence through obstacles all seem to be necessary. But overall, an informed “champion” is needed. Even with strong and relevant research available and with tools such as the EPA’s and Health Canada’s Tools for Schools IAQ Action Kits, there has to be at least one focused person working on this to ensure progress. This book is largely about what those champions have learned, have done, and where they hope to go next – together ideally, toward national standards. 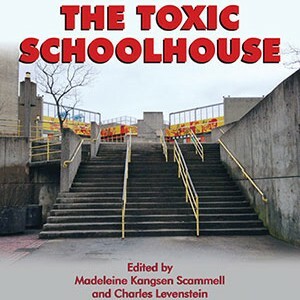 The Toxic Schoolhouse is a must-read for those concerned with healthy schools. However, CASLE hopes that those readers will go on to explore the status of schools in Nova Scotia, Canada. Virtually every topic mentioned in the Toxic Schoolhouse was pioneered in Nova Scotia over the last 20 years through a partnership between the Nova Scotia Government, CASLE, and the school boards. The ongoing efforts there bring a message of hope and of practical advice. For example, Nova Scotia schools are built with air delivery that well exceeds the ASHRAE minimum standards (100% fresh air, no “pot” ventilation systems). New school locations are well chosen (not on or near dumps or industrial centres or on swampland) and all new schools are built using Healthy School Design and Construction, which can be found in its original form on CASLE’s website, www.casle.ca. Following that guide there are very few or no carpets in schools; less toxic cleaning and maintenance materials use is routine; HEPA vacuums are replacing brooms and less efficient machines; renovations are done with protection; routine painting, gymnasium floor refinishing and other hazardous maintenance is done on holidays and over summer break; schools have been assessed for asbestos, PCBs, lead, and radon; chemistry materials have been inventoried, stored properly, and the surplus has been properly disposed of; indoor mould growth is dealt with immediately and appropriately. The list is long, and yes there are imperfections, but staff and children are benefiting. Yes, it would be good to have regulations, but in the meantime we think you will agree that the progress in Nova Scotia has been inspiring. Prioritizing healthy schools has become routine despite budgetary restrictions and other barriers in this relatively poor province of Canada. We in CASLE strongly appreciate The Toxic Schoolhouse and its authors for speaking bravely, with solid research and deep experience. The research and sources alone, those listed at the end of each chapter, are of immense value. Every word is worth reading. Each chapter provides both scientific research and hands-on advice. We strongly note the common ground and common issues that fortify the broad value of this book, and we are sure that readers will learn much that will be relevant to their own schools and districts. As the Toxic Schoolhouse points out, enforceable regulations would help. In the absence of regulations and with ever-possible changes in governments and government staff we need to stay aware and keep working. As Chapter 9 says, “We can’t give up.” The very real risks to children and school staffs are indeed too important. Healthy Schools Design and Construction and its appendices.